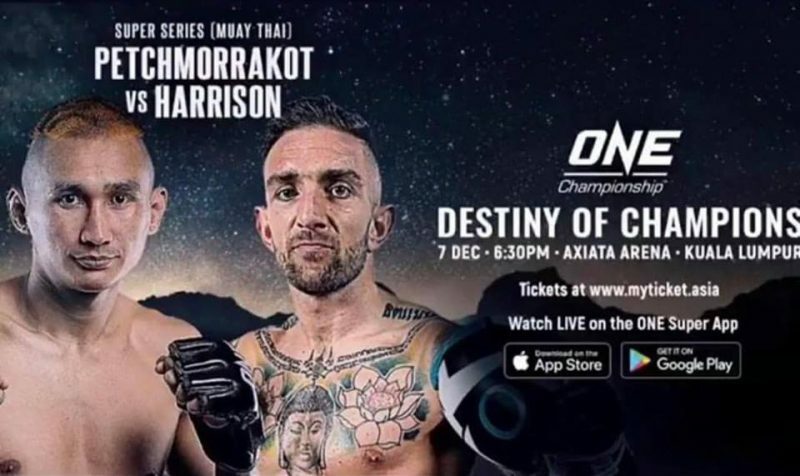 The 7th December in the Axiata Arena, Malaysia will be the venue for an epic showdown between Liam Harrison and Petchmorrakot at One: Destiny of Champions. The fight was finalised on 8 days notice as Liam replaces Charlie Peters who was unable to compete due to injury. English born and bred Liam Harrison is no stranger in the sport, a former WMC world champion who has held the UK number one spot for over 10 years and is looking to make his debut in the show “ONE” to remember. Petchmorrakot trains and fights out of the Petchyindee Academy in Bangkok and is regarded by many as one of the best athletes in the sport as a two time division Lumphinee champion holding wins over Saenchai and Petchboonchu to name a few. This will be a great bout for fight fans which promises not to disappoint and can be viewed on numerous TV stations across the world as well as the One Super App which can be downloaded to mobile phones. This entry was posted on Thursday, December 6th, 2018 at 5:29 PM	and is filed under News.